Potato is certainly a versatile vegetable. In gravies and stews, sandwiches and pies, dosais and parattas, fried and baked, sometimes even in combination with meat – it fits in anywhere and everywhere like the all-in-one daughter-in-law of mother-in-law’s choice! The all time favourite urulai poriyal of Tamilnadu is usually one of the dry vegetables served on the vaazhai ilai. 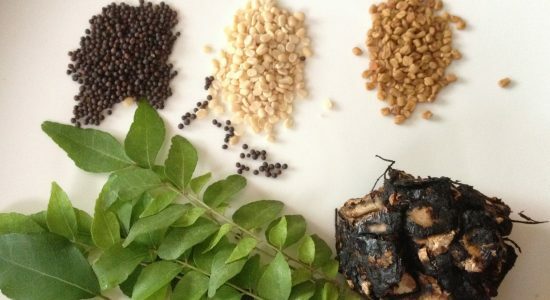 (for ilai sappadu or banana leaf feast meal see – https://dosaikal.com/2011/10/14/thamizhar-virundhu-feast-of-the-tamils/). 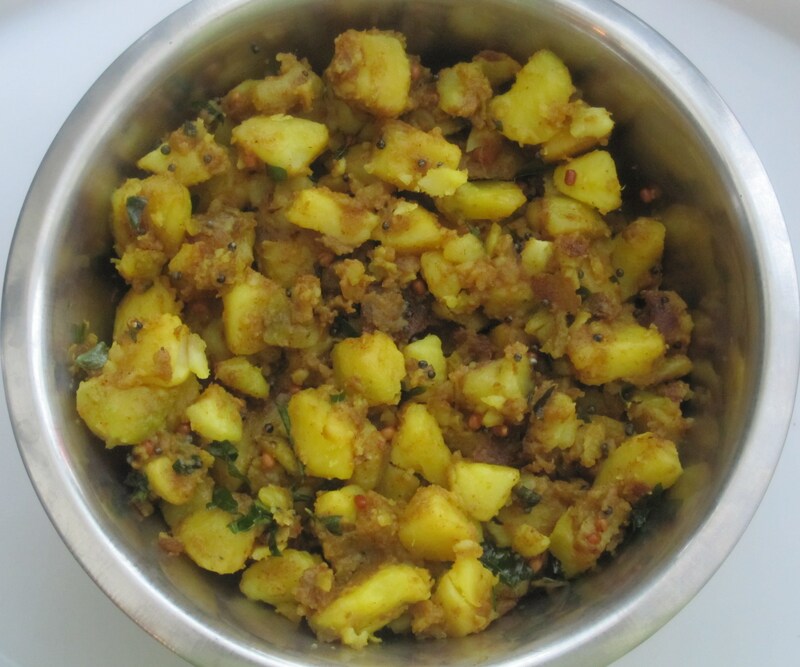 Initially, whenever I made urulai poriyal, the glowy, brownish colour that is usually relished in feast meals or restaurant thalis used to be missing. I felt too much oil must be needed to bring the same texture and colour and not ready to use excess oil, accepted defeat. 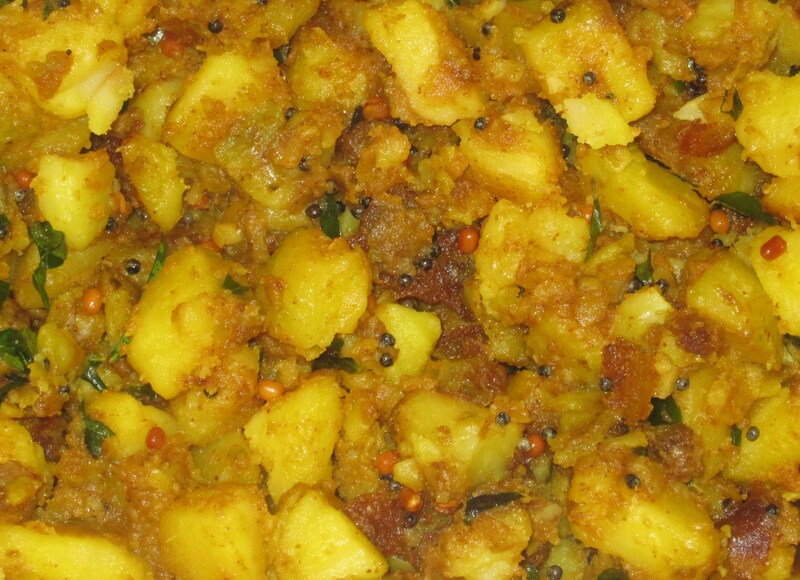 Then, one day, amma told the secret behind it and now I can make urulai poriyal – with the same colour and glow.. hurrah! Garlic is believed to reduce the gastric problems potatoes tend to give – and also gives a nice flavour to any curry.. but can be avoided if not preferred. Onions are also optional too. Next Post The Arrival of Sinterklaas!